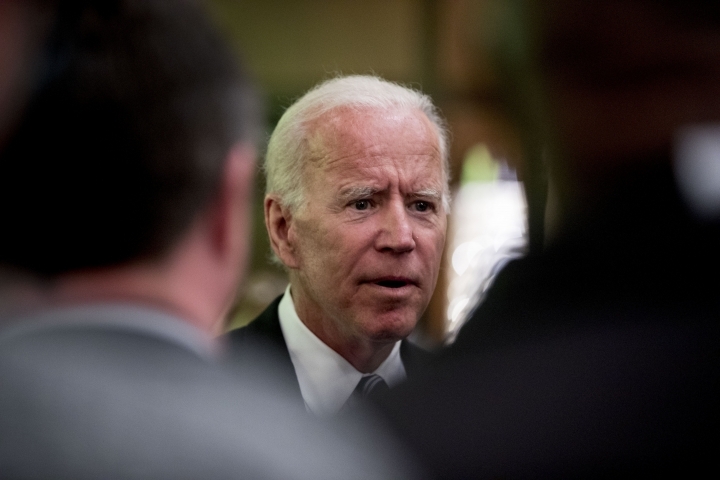 ATLANTA — Former Vice President Joe Biden and Georgia Democrat Stacey Abrams were meeting privately Thursday in Washington, bringing together two starkly different faces of their party as they both weigh their political futures. Biden, 76, who served as President Barack Obama's closest adviser, is on the cusp of deciding whether he'll make his third run for the presidency. 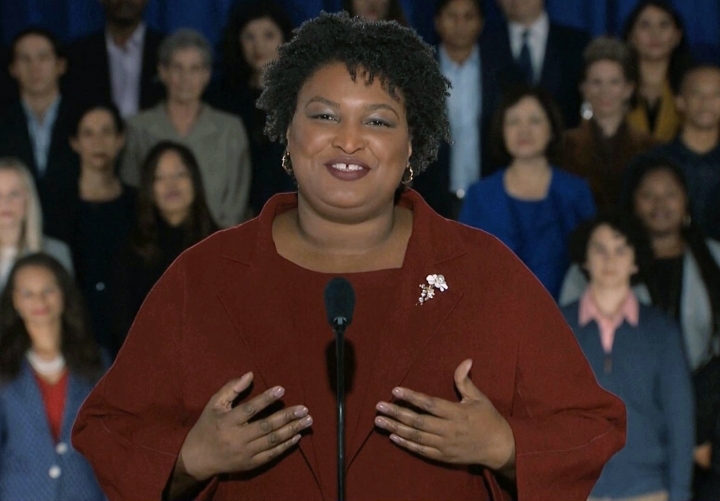 Abrams, 45, narrowly lost the Georgia governor's race last November. She is being heavily recruited to run for the Senate in 2020, but she's not ruled out making a presidential bid herself. She also could be considered as a vice presidential running mate. A person close to Abrams confirmed the meeting, saying it was set at Biden's request. The person wasn't authorized to speak publicly and spoke on condition of anonymity. The meeting stands out among the high-powered political huddles that are common as a presidential election season takes shape. Biden and Abrams represent starkly different identities for a Democratic Party in flux, with one an aging white man who is the consummate Washington politician and the other an up-and-coming black woman from Generation X who has become a national political celebrity even in defeat. Her star climbed higher when she delivered the Democratic response to President Donald Trump's State of the Union address last month. If Abrams doesn't run or doesn't win the Democratic nomination, she could be a vice presidential pick, especially if Biden or another white candidate won the nomination. There is wide agreement across the Democratic spectrum that the party will require a 2020 ticket with some racial and gender balance. Biden endorsed Abrams' 2018 campaign but did not come to Georgia to campaign, as did now-presidential candidates Sens. Elizabeth Warren of Massachusetts, Cory Booker of New Jersey and Kamala Harris of California. Abrams had breakfast Thursday with another Democratic senator running for president, New York's Kirsten Gillibrand, who tweeted a picture of the pair. In an interview with The Associated Press this week, Abrams largely avoided the 2020 speculation, saying she must decide first whether she wants to challenge Republican Sen. David Perdue, a freshman who has emerged as one of Trump's most vocal supporters on Capitol Hill. "There certainly is a connectivity between that and other 2020 opportunities," she said, referring to "ephemeral" options like the vice presidency, something that "requires other people to make decisions about what they would like" versus deciding whether to run herself. Abrams repeated her intention to announce her Senate plans in early April. She said she's had a series of conversations with other current and former elected officials about her options, with a key question being the practical ability of a senator to make a difference. 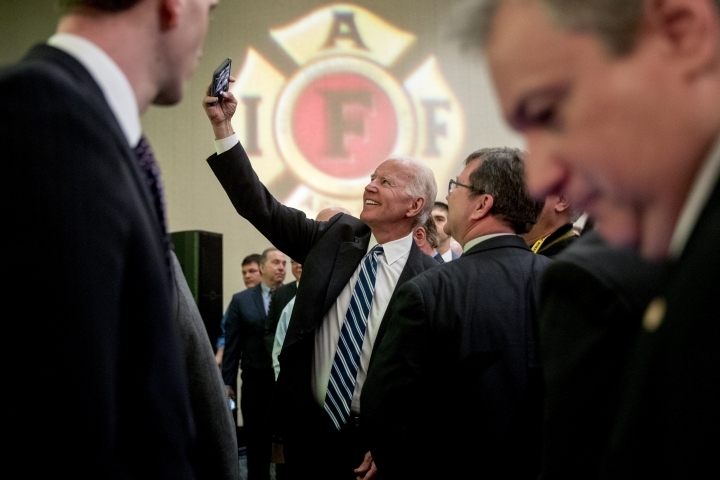 Biden spent 36 years representing Delaware in the Senate before becoming vice president in 2009. "My objective is to make sure I want to do that job. ... I'd not thought about the Senate before," she said, an allusion to her still-strong ambition to be governor after already having served as minority leader in the state House. "The Senate is a different way to tackle the issues I see. It is a continuation of my legislative work, which I appreciated, but it's an indirect solution to some of the challenges I see," Abrams said, explaining a potential downside. But she also said she sees plenty of opportunities. Senate Minority Leader Chuck Schumer, Abrams said, has been "very thoughtful" in addressing her questions as he recruits her to challenge Perdue. Schumer, D-N.Y., has said himself that Abrams would be a leading Democratic voice on voting rights. Abrams' race last fall was defined by her assertions that now-Gov. Brian Kemp, a Republican, paved the way for his own victory by using his previous post as secretary of state to make it harder for poor and nonwhite Georgians to vote. Kemp denies any wrongdoing.